Lifetime Value is the most important metric for your organization’s fundraising. 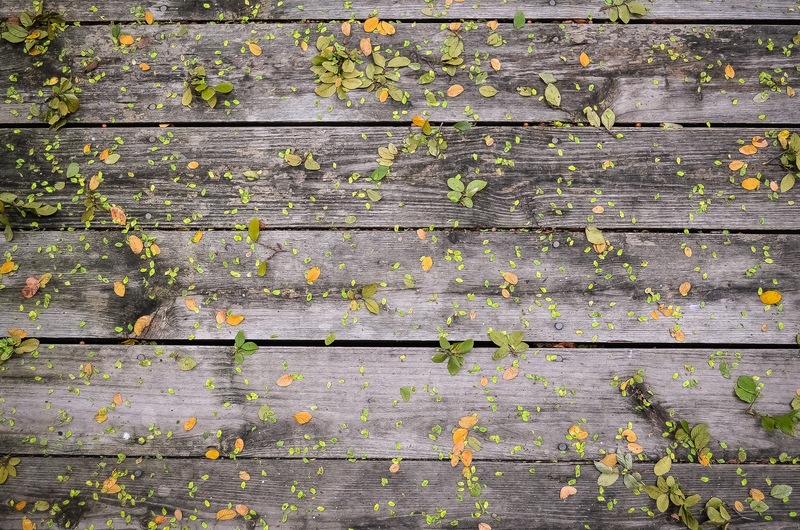 The most powerful way to boost Lifetime Value is to keep donors around longer. The best way to keep donors around longer is to make them happy and satisfy their needs. And one of the best ways to do this is by having a great monthly giving program. Therefore, having a great monthly giving program is one of the most important fundraising strategies for your organization. And yet, monthly giving programs are not as common, accessible or well done as they should be. Hopefully, this post will help you see the value of a monthly giving program if you don’t have one and provide some ideas on how to make yours better if you do. Let’s go! What Is A Monthly Giving Program? This may sound like a simple question, but there is a difference between offering people the opportunity to give monthly and in having a monthly giving program. In the recent Digital Charity report looking in-depth at over 90 organizations, 25, just over a quarter, provided a way for donors to give monthly online and only 9, less than 10%, had a specific ‘Give Monthly’ option with suggested donor amounts. This is an example of the difference between allowing for monthly giving and encouraging monthly giving. And even beyond a more specific ask is the creation of an actual giving program specifically for monthly donors. Programs like charity: water’s Pipeline, Watsi’s Universal Fund and Pencils of Promise’s Passport are all examples of branded, focused and intentional monthly giving programs. These programs are really what your organization needs and should be developing if you don’t already have one. Why Have A Monthly Giving Program? Subscription models are everywhere nowadays and even before services like Netflix revolutionized how we consume and pay for things like TV, we were used to monthly billing. The difference is that they just weren’t as smooth or as automated as they are today. Monthly payments spread out the cost over a series of months making them more tolerable for budgets and allows people to plan better accordingly. The same is true with regular giving. It’s just plain convenient to add in charitable giving to organizations as a budget item, have it come off a pay cheque, Credit Card or right out of their bank. Get one tax receipt for all giving or tax receipts every month, either way, monthly giving programs (should) make it easier for them to keep tabs on their donations. Normally, if someone gave $240 to an organization in a year they do so through one or two donations (probably online…) and would be asked to give, online and offline, around 8 times in a year (probably on the low-end…). 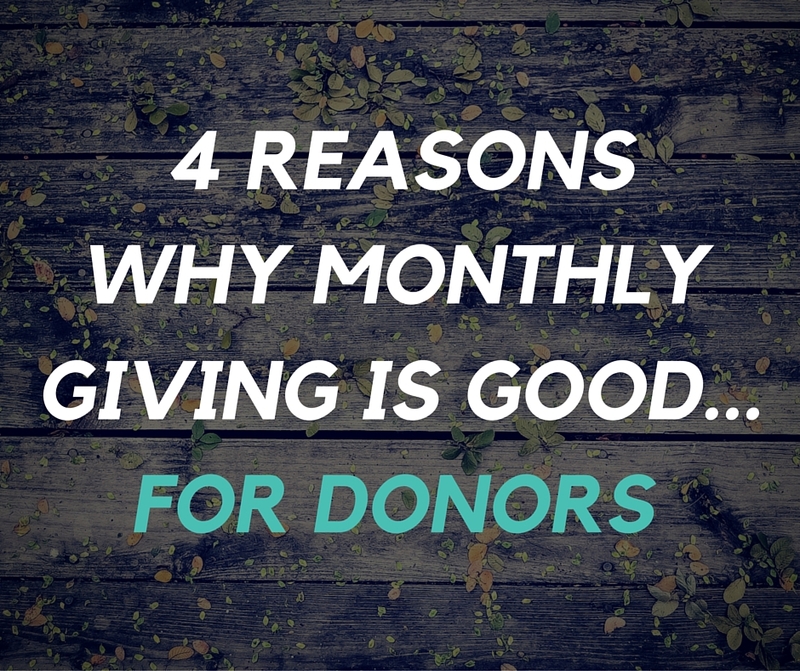 Whereas a monthly donor who is giving $20/month ($240 a year) will likely be asked to give an additional gift once or twice a year and, maybe, increase their monthly donation once a year. That’s 5 fewer asks in a year at least. This should leave more time for them to get updates and reports on the progress on the organization’s work and what their regular donation is achieving. Fewer requests to give, as they are already giving, and more updates on the difference they are making. That’s a good thing for donors. And good things for donors are good things for you. Many of these newer, branded monthly giving programs offer some incentives to join – often matching funds for their first x donations or even full year of support. But they will also receive special, monthly giver only items like custom reports, insider access and even some gifts or premiums like coffee mugs and t-shirts. This ‘insider’ treatment can be taken even further with preferred seating at events or performances, early access or discounts for registration and special experiences like meeting celebrities and dignitaries (NOTE: As long as these rewards are offered as a thanks, out of your own free will and not as a quid-pro-quo exchange, and remain intangible or at a small tangible value there are no legal issues). And while these perks might be nice for the donor, the fact that they are offered exclusively to them is the bigger point. Who doesn’t like feeling special? This appeals to the more ‘investor’ style donors, but a regular gift made over a longer period of time stacks up in terms of total impact. This is again a nice perk of child sponsorship programs where child sponsors can see a child grow up and develop over time thanks in large part to their support. You can buy a cow through a one-time year-end gift catalog but provide a life changing surgery every month with a recurring donation. And for even more dedicated givers, they will understand that their regular and predictable support allows organizations to fund their operations and predict their future cash flows better leading to a better overall organization. Monthly giving, through a branded, special experience focused program, is good for your donors. But it’s good for you too. Check back next week and sign up for email updates because next week we’ll look at why monthly giving is good… for you! Want to Be Happier? Give More. Give Better. Charity nerd. Entrepreneur. Digital marketer. Professor. Writer.